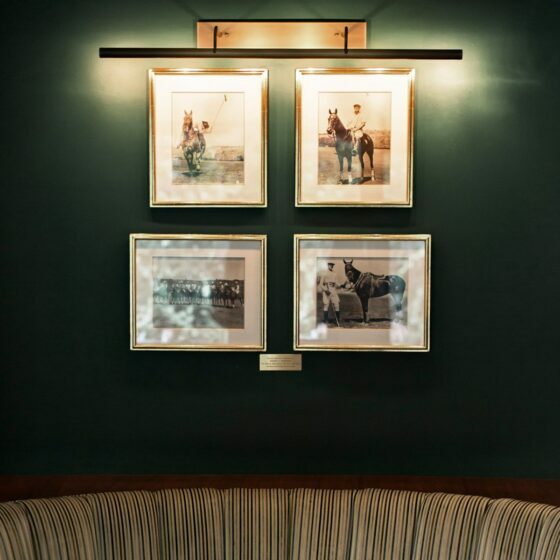 Where else but the Polo Lounge could have a candy-striped ceiling and make it look effortlessly cool? This iconic room, once described as ‘Hollywood’s commissary’ has a history as fabled as Tinsel Town itself. 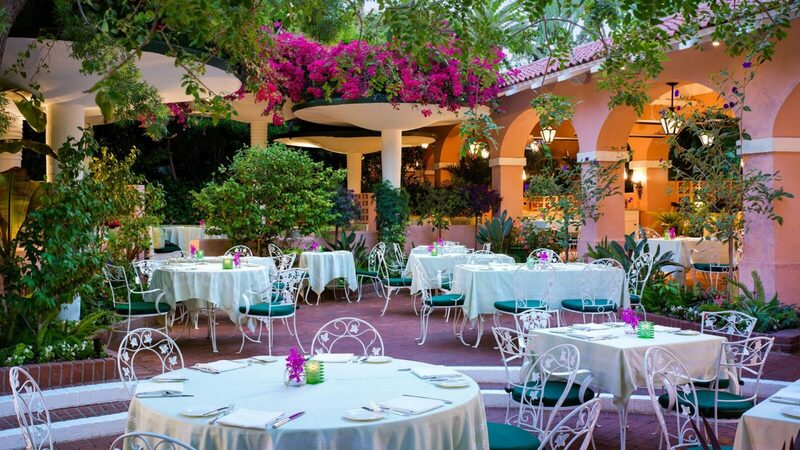 With its spectacular array of palm trees and flowers, the patio is one of Los Angeles’ premier and prettiest outdoor dining settings. Equally wonderful for a sunny breakfast or a twinkling night of soft music and familiar faces. American cuisine with an Italian edge and a specials board worth daily investigation. You might come for the stories but you’ll come again for the food. 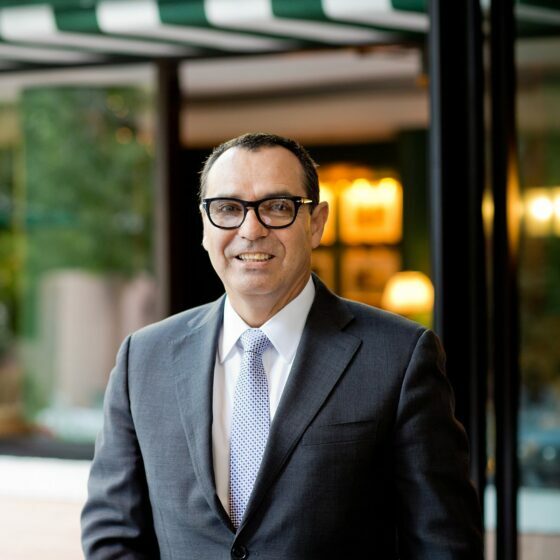 You’ll have to ask longtime Polo Lounge manager Pepe De Anda to show you how the celebrities do it. There are power booths for the high-profile deals, there are strategically placed seats that let you quietly watch the doorway in the mirror to know who’s arriving, there are alcoves for intimate dates, there are ways of seeing everyone but not being seen. Pepe knows them all. 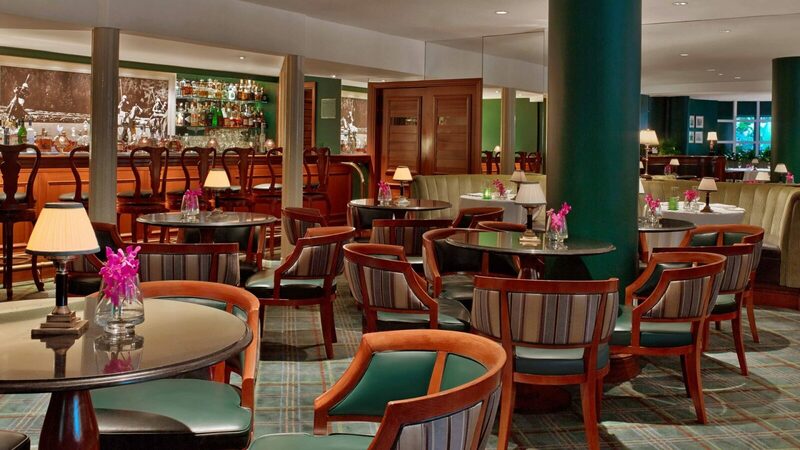 Enjoy the culinary wonders of the Polo Lounge. The Polo Lounge is the place to be this Easter, as we host a fabulous family brunch. Expect seasonal dishes including succulent Easter Wagyu burger, pan-braised halibut and slow-roasted prime rib. The perfect finale comes in the form of a dessert buffet, or as we like to call it – a dessert extravaganza. Extra helpings are most welcome. 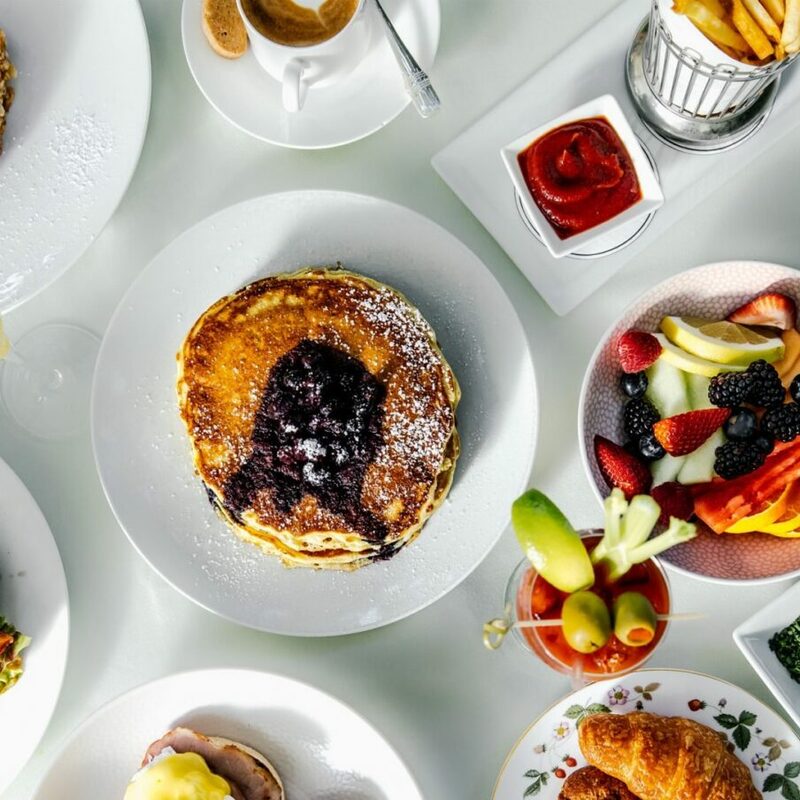 In addition to breakfast, lunch, and dinner menus, the Polo Lounge offers a three-course Sunday Brunch, served on the sun-kissed patio amidst an array of colorful flowers. Sunday Brunch is accompanied by a live performance of light jazz music. 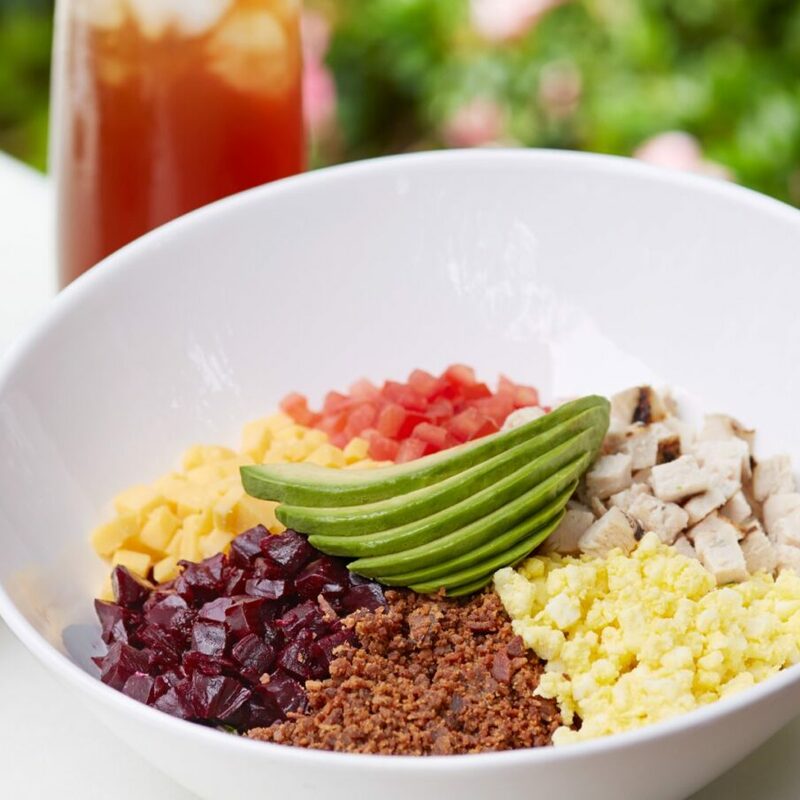 The three-course menu includes a glass of champagne or a Bellini, plus a choice of dishes such as the Lobster Avocado Toast, Truffle Eggs Benedict, Baja Kanpachi Ceviche, Steak Frites, Brunch Burger and the restaurant’s popular McCarthy Salad. Brunch is priced at $95, and reservations are available on Sunday from 11am until 4pm. 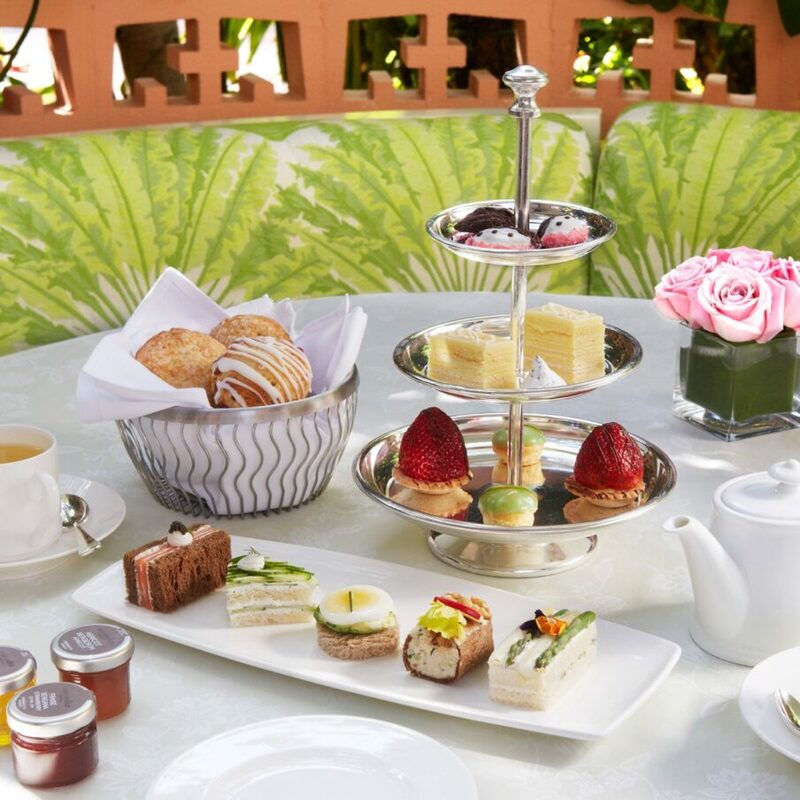 Enjoy the time-honored tradition of afternoon tea in the Polo Lounge. Savory bites, fresh baked scones and a selection of sweets accompany a choice of more than 10 loose leaf teas. The tea menu features Lobster Salad Roll, Smoked Salmon sandwich, Cranberry Orange and Brown Sugar Scones, and Flourless Chocolate Cake and Spiced Cheesecake. Afternoon Tea is priced at $75, and reservations are available on Friday and Saturday from 3 to 4pm.